2NDGEAR’s certified technicians are dedicated to getting the old running like new. 2NDGEAR has been refurbishing IT equipment, like Laptops, Servers and Desktops for almost 30 years. Throughout this time, we have gained a deep knowledge and created a world-class process that ensures the highest quality of products. But, we fully understand that many people have questions and concerns when it comes to refurbished IT equipment. We hope this page helps getting you more familiar and comfortable with buying refurbished gear. If you still have questions after reading, please contact one of our experienced representatives at 1-714-622-3170 or contact us via email. “Used” refers to equipment that may have been bought, used, and sold after usage without any warranty, certification, or reputable company to back up the purchase. 2NDGEAR does not deal with used, but specializes in refurbished equipment that guarantees you a lower cost of ownership, peace of mind, responsive customer service and a wide range of IT services throughout the lifecycle of your assets. All 2NDGEAR equipment comes from reliable sources like computer manufacturers (Microsoft, Dell, HP, etc), Fortune 500 companies, and other reputable wholesalers. Via these sources we acquire OEM unsold inventory, returned unopened items (we relabel these “factory recertified”) and products that have come to the end of their leasing cycle (off-lease equipment). What Happens To The Data On The Machines? Any system entering our tech center goes through a stringent inspection process. We begin with a thorough test of the devices current functionality and ensure the unit functions up to our standards. If the unit does not meet our standards, it is marked as defective and destroyed and recycled up to Department of Defense and ISO 9001:2008 standards. Machines that pass the initial inspection will continue on to get wiped clean, both inside and out. All data will be wiped by a certified technician and any cosmetic defects will be touched up or repaired. These machines will look and work like new upon purchase and no remnants of the old data or information will available. How Reliable Is The Refurbishing Process? 2NDGEAR holds many certifications: Microsoft Authorized Refurbisher, Microsoft Authorized Education Reseller and Dell PartnerDirect. This means that our technicians are trained and certified according to those manufacturers’ standards to effectively refurbish and deploy products that you can trust to operate as new. 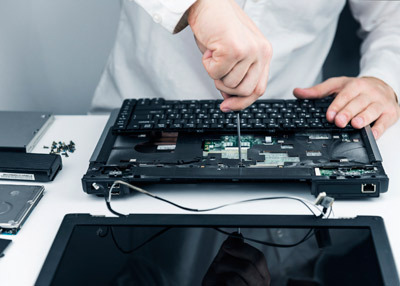 We are also a Dell Certified Repair Facility. 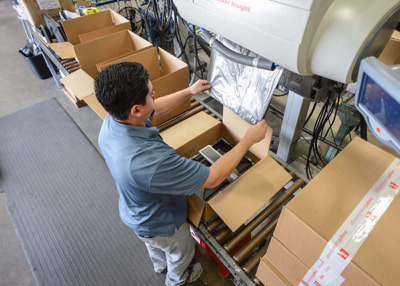 As a result, Dell uses our experienced technicians and 46,000 sq.ft. technology center to repair their own equipment. By building up these partnerships and working closely with top brands such as Dell, HP, and Microsoft, 2NDGEAR can refurbish to a higher level than most others and offer you unparalleled quality and excellence in refurbished products. Your confidence in our products is our number one priority. To complement our stringent refurbishment process, we stand behind all of our refurbished products and offer our 3-Year advance replacement warranty standard with each machine. We also offer a variety of flexible warranty options, including shorter terms to suit your individual processes and needs. 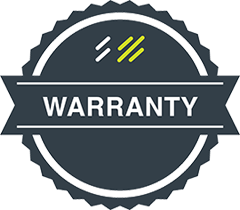 Read more about our warranties here.